Leyland 498 Cylinder Head newly skimmed. New valves and valves and seats re-cut. All ready to re-fit. Head was badly scored after gasket blew on our customers tractor. Should be good for another 40 years! Another successful restoration. This time a Super Major. Should be good for another 50 years work or 150 years of play. Photo below shows the state it was in! A row of Nuffield tractors at last years Tern Valley Vintage Show near Newport in Shropshire. 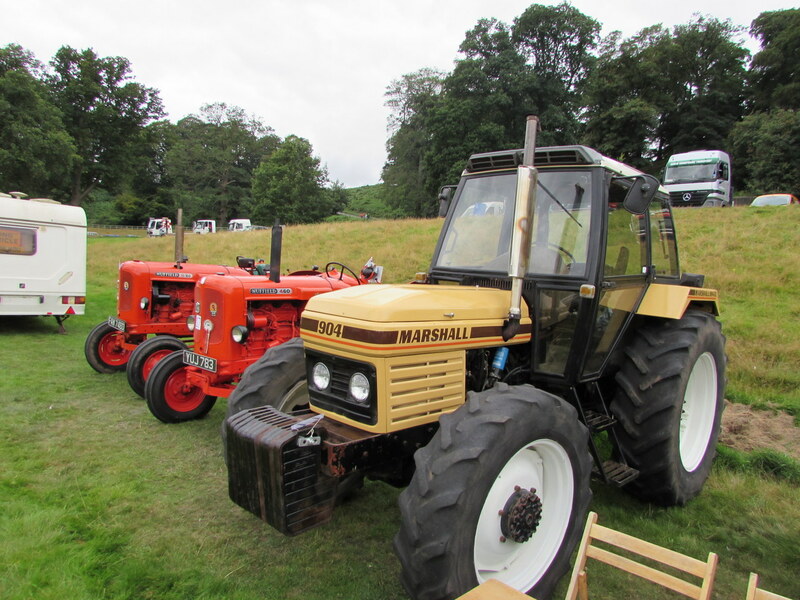 We judged the tractors including the Leyland, Nuffield category and were made very welcome by the organisers. Great show for any vintage enthusiast. Hope the 2016 show enjoys the same great weather. Eliminating the set-aside! Our diesel TEF's with Ferguson rigid tine cultivator. Even with nearly smooth tyres on the wrong way round, it's still doing a great job of putting vegetable patch into use. Lovely day today but the ground is wetter than it looks. Needs going over again several more times. Old Leyland - Great Starter!